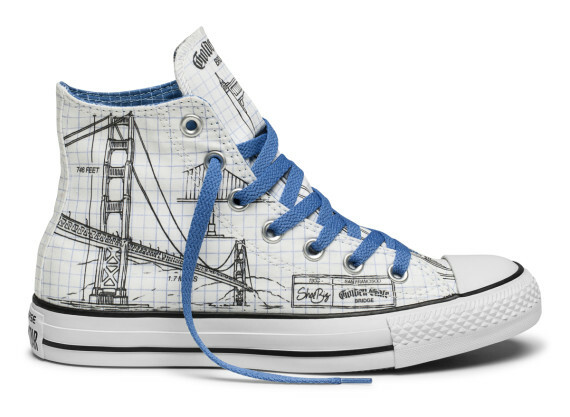 San Francisco-based retailer Shoe Biz has linked up with Converse to work on a trio of Chuck Taylor All Stars inspired by notable events in the city's long history. 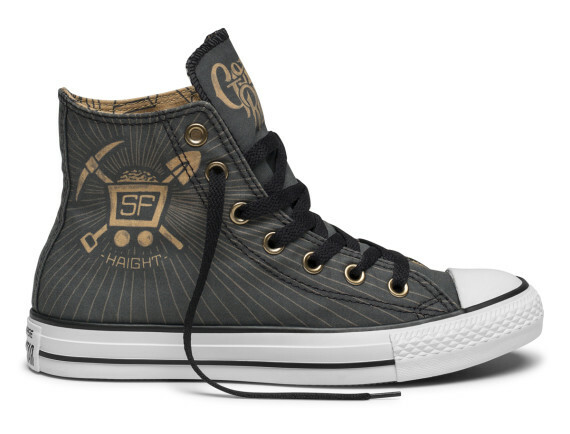 The classic silhouette is treated to graphic-driven uppers that depict the California Gold Rush, San Francisco Earthquake of 1906 and the building the Golden Gate Bridge. 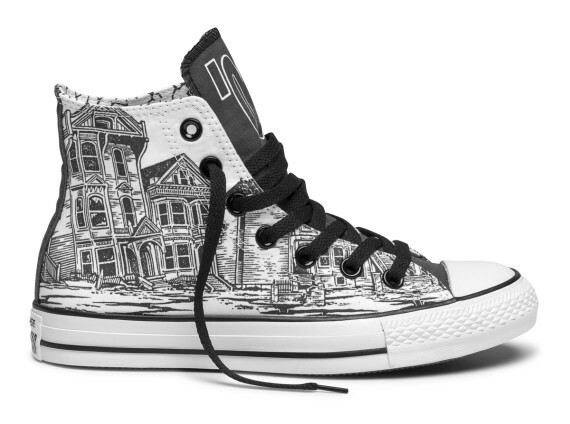 Additional features include uniquely lined interior and classic Chuck branding. 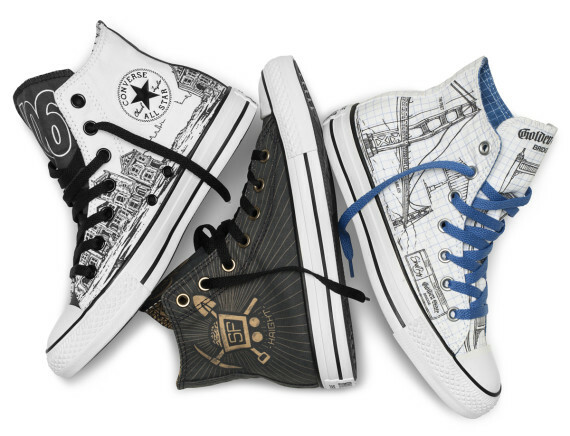 All three shoes will be available starting tomorrow at Shoe Biz's flagship store and online, with all proceeds benefitting Compass Family Services, supporting homeless and impoverished families in San Francisco.